B2B is no longer the purview of “boring to boring” but instead represents one of the greatest opportunities for innovation in the marketing world. But what ideas, strategies and tactics are igniting the sales cycles, lead nurtures and ROI performance metrics for B2B brands? To answer that question I reached out to my fellow speakers at the upcoming Ignite B2B Marketing conference, happening in London June 22nd. B2B marketers from major brands including Dun & Bradstreet, Shell, Philips, ADP, Adobe, Cisco, Samsung and IBM as well as my pals Carla Johnson and Doug Kessler chimed in with their insights on everything from the growing role of data to customer experience to virtual reality to continuous innovation. Whether you’re a marketer based in the UK, Europe, the U.S. or anywhere else, I invite you to ignite your B2B marketing in 2017-2018 with the insights from these top marketers. As a bonus, I threw in a few of my own tips in too. ABM (account based marketing) seems to be transforming the way that B2B marketing and sales people understand the opportunity, and go about addressing it. Whilst there’s an ongoing debate about what is and what isn’t ABM, it’s clear that the principles of a more focused, data driven, sales-integrated and accountable marketing methodology is increasingly gaining traction and becoming the new normal. Examples of organisations using it effectively outside of the tech space are few and far between, and even where it has been deployed there is potential for approaches to be honed further to reap even greater rewards. The vendors are ramping up the hype, but the agencies (at least on this side of the pond) have been slower to respond. The sheer quantity of data that can be analyzed and processed in real-time is igniting a marketing revolution. The output achieved from gathering data and insights and deploying the latter intelligently, in real-time, is helping accelerate sales. But this data must be organized, structured, and integrated across the enterprise. In other words, the data must be mastered so the information driving your key business decisions is accurate and fresh. Leveraging Master Data will ignite B2B marketing! Customer generated content will ignite the B2B marketing world. Stories that are credible , authentic and engaging will replace the vendor vanity that dominates today. We tend to be proud of our purchase decisions however small and need to capture this authentic storytelling and passion much more in the B2B environment. In 2017, B2B companies are recognizing what their B2C peers have long understood: experience matters. A recent Accenture survey showed over 90% of B2B companies plan to increase spending on experience and 78% believe it provides competitive advantage. At Adobe, we are seeing the impact, as seemingly ‘traditional’ B2B companies such as Siemens drive personalisation and optimisation initiatives and create new digital experiences. Social selling, and realizing there’s more to it than just firing out InMails to random prospect lists is igniting B2B. We’re finally aligning marketing and sales. Marketers are getting better at tying channel data together to measure interaction values through the customer journey, and map this to lead quality scores. It’s still nascent, but social sales is being talked about as a priority in most businesses. Brands that focus on relentless innovation are igniting the B2B marketing world. 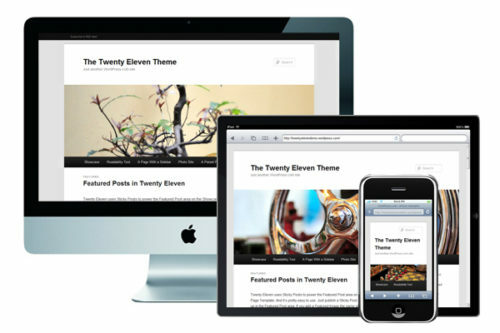 For too long, we’ve looked at our work as one-and-done instead of continual iteration. Audiences connect with brands that perpetually evolve their experience by looking at ways to stay perpetually fresh, interesting and valuable. 2017 is all about embracing technology and developing memorable experiences that lead to much deeper connections with our customers. In the new digital engagement economy, we as B2B marketers, must inspire, excite and engage when delivering our value stories. For me, VR offers the best platform and opportunity to create immersive experiences that engages the big-ticket B2B buyers. I’m excited by the explosion of marketing technology and what that means for B2B marketers. Now, with AI and advanced analytics, companies of all sizes can derive insights from across the entire business to drive personalised campaigns and prove marketing ROI. For instance, It’s key to identify ‘buyers’ vs. ‘shoppers’ within your B2B customers to implement a good pricing model for your portfolio. Hence we need to stop thinking about Customer Decision Journeys and start looking for Customer Experience Journeys to be effective as B2B marketeers. Data is igniting the B2B marketing world. 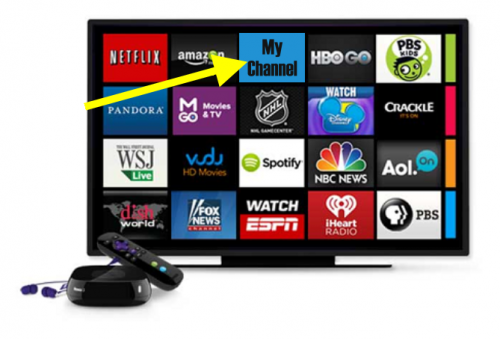 But not isolated, channel-specific data puddles. Instead, we’re seeing joined-up Data Lakes that combine different data sources (like CRM, marketing automation and web analytics) into one, agile resource. Can lakes ignite? This kind can. Technology is igniting B2B. Be careful what you ignite, after all people who play with fire are likely to get burned. Technology has massive potential, but millions of dollars are going up in smoke while marketers are forgetting (or never bothering to learn) the essential lessons of our profession. With buyer distrust of brand messaging and advertising, B2B marketers need to get creative about making sure content reaches, engages and inspires their customers. B2C marketers have figured out that influencer engagement helps to bypass these obstacles. Likewise, a growing number of B2B companies are realizing that content co-created with internal and industry experts adds authenticity, quality and reach to their marketing. The value of influence is universal and B2B brands are now developing relationships with industry experts and micro-influencers alike to improve their content effectiveness. If you’re in the UK and would like to dig even deeper into what’s igniting B2B marketing in 2017, 2018 and beyond, then be sure you’re registered for the #IgniteB2B conference in London June 22nd. Ignite is the largest B2B marketing event in the UK with 8 different content tracks, top brands and speakers, networking and vendor resources. Top marketing leaders and future B2B marketing leaders will be there learning, making new connections and most certainly attending my keynote on influencer marketing. (I can hope, right?). I hope to see you there! 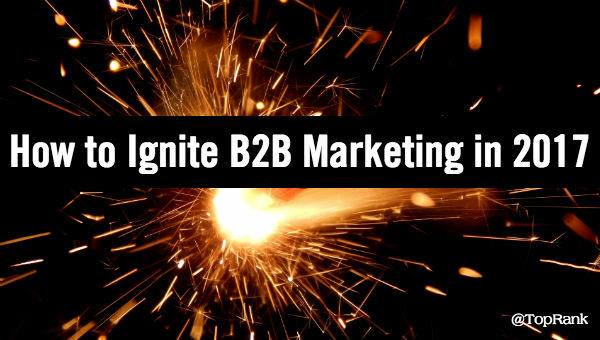 The post 12 Ways to Ignite Your B2B Marketing #IgniteB2B appeared first on Online Marketing Blog – TopRank®.